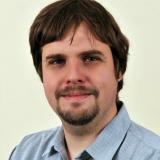 András Balogh has been working on model-driven development of critical embedded systems for the past decade. He has been involved in several research and development projects in the automotive, railway, and aerospace domains. András contributed to several open-source tools in the Eclipse ecosystem and was the architect of multiple model-driven tool chains. Since 2012 he is with thyssenkrupp Steering, and currently he is the CTO of the E/E Competence Center in Budapest, responsible for the development of all hardware and software solutions for the company’s power assisted steering systems. Check out the incredible speaker line-up to see who will be joining Andras.